It’s Spring! While we’re not naive enough to believe that the snow is completely behind us, this is Colorado, after all. We can take comfort in knowing that warm weather will soon be the norm and we can open up our windows and air out all the winter FUNK! The warm weather and longer days may even have you motivated to start chucking stuff that you no longer need/want and start organizing your space. One thing that may be important to note is that you shouldn’t feel you need to complete this checklist all in one day or even one weekend. It’s a lot to get your yard ready for spring. So maybe take the checklist and break it up over the course of a few weekends. Further, there may be things on this checklist that do not apply to your yard. Make it work for you! 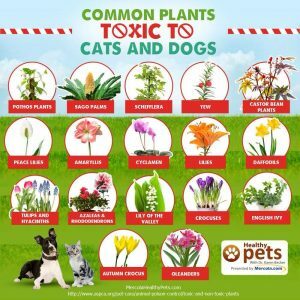 Lastly, we thought we’d share some common toxic plants for our four-legged family members. We realize that we’ve only covered a few areas of your home. If you’re feeling like you could use some more help with the rest of your home, take a look at one of our past posts on spring cleaning https://www.co-mortgage.com/2018/03/08/spring-cleaning/ or check out our Pinterest page for lots of great ideas! Happy Spring everyone!